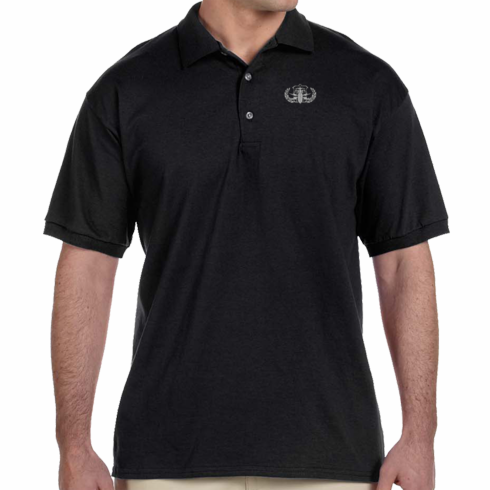 DryBlend® 6 oz., pre-shrunk 50/50 Jersey Polo shirt with embroidered badge and optional lettering on front left chest. Standard = Gray and silver tones, Full color = Multi colored (blue, red, green, yellow and grays), Desert = Tan and brown tones, Tone on Tone = matching color of material. Other Sizes and Shirt colors upon request.